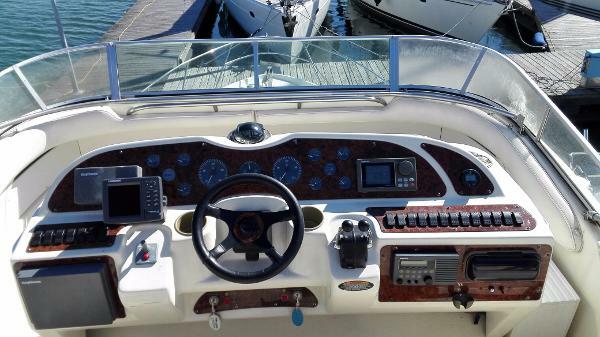 This Maxum 4100 SCA has an incredible interior. 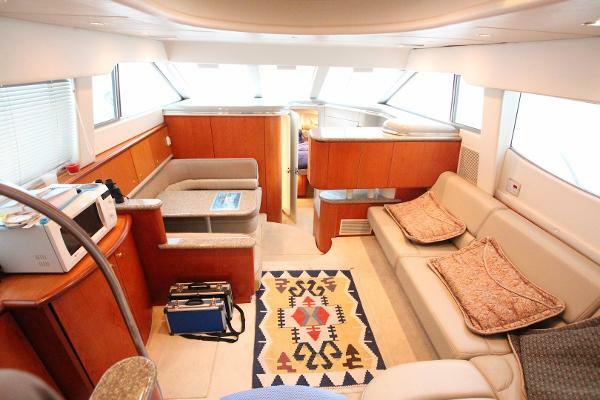 For a 41 footer it is very spacious. It has a large open main area with easy access to the fully equipped kitchen. The V-berth is very comfortable. There is a large bathroom with toilet and shower. The master cabin in the back has a separate toilet and separate shower. In the cockpit, you are protected from the elements. There is a refrigerator, sink and icemachine. 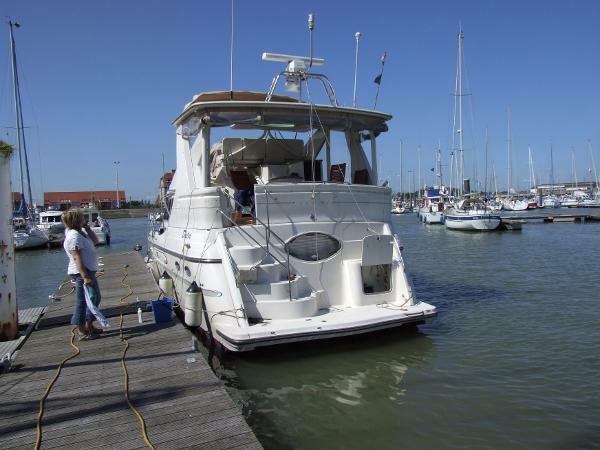 On the flybridge you have a good overview of the boat with all the tools at hand. The yacht has a brand new bow thruster. It is situated in Breskens, is now stored inside. Please contact us for more information.